As one of its strategic plans to right the wrongs in the education sector, Kaduna State Ministry of Education, Science and Technology with support of Engage Citizens Pillar of Partnership to Engage, Reform and Learn (ECP-PERL) on Friday, November 30 held one-day public policy dialogue at a hotel in Kaduna. The one-day public policy dialogue on education sector of the state was brought to fore to allow critical stakeholders including the state primary education board, School Based Management Committee, PTA, NSCDC, CSOs among others come up with policies that will turn around the sector which is about to be made open for citizens’ engagement like what happened in the health sector. For those that have been following Open Government Partnership (OGP), Kaduna State is rated high among other local subscribers and its work plan may be adopted by OGP international as a standard for other local subscribers. 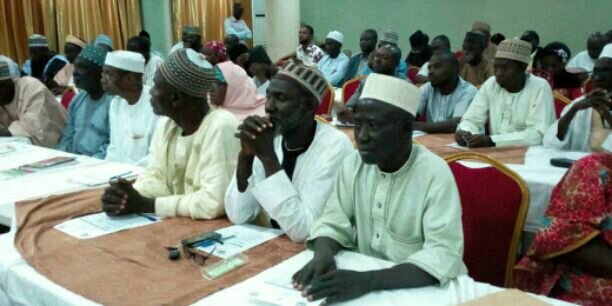 Chairman of the meeting and Commissioner for Education, Science and Technology in the state, Jafaaru Sani told participants that, though the current administration inherited a deplorable state of education when it came onboard about three and a half years ago, a lot has been done in the sector to make it enviable in the 19 northern states and beyond. “We met a very deplorable state of education and our amiable Governor, Nasir El-Rufai started addressing it by declaring a state of emergency in the sector to restructure and strengthen institutions to improve quality assurance. “We felt that, beyond the national policy on education, we needed to do more to set a pace for others. We have seen that these works we have been doing have started yielding results. We are doing what we all want to see in the future. “We want many good ideas to move on which is why we are having this dialogue comprising major stakeholders in the sector to come up with a draft to move the sector forward. “It may interest you to know that about 48 private schools have closed down as a result of our intervention in our public schools under this administration. We are stepping up our game to revamp the education sector in the state”, hinted the commissioner. Earlier, State Partnership Facilitator, ECP-PERL, Hajara Muhammed said, her organisation had carried out fact-findings across all the local government areas in the state except Birnin Gwari due to security situation in that axis. “We have done our fact findings across all the 23 LGAs except Birni Gwari due to security situation there. Today, we are going to present our report to the commissioner for onward assessment and considerations”, she said. Intimating the scores of participants the objective of the dialogue, another State Partnership Facilitator, ECP-PERL, Mustapha Kurfi said, the idea was o create a dialogue and feedback platform, present for validation issues for policy consideration and advocacy as well as strengthening relationship between critical stakeholders in the education sector among others. There were goodwill messages from other stakeholders during the meeting including but not limited to Co-Chair of OGP Kaduna, Mustapha Jumare.